Sony Ericsson Xperia Mini Pro may be a small device but from now it runs Android Ice Cream Sandwich OS. Sony has just released the Android 4.0 ICS update for this 2011 model Sony Ericsson handset. As it is a OTA, it should be easier for you to download and install in. The update went live almost everywhere. Sony also announced that the Xperia mini, Xperia active and Live with Walkman handsets will receive Android ICS update in a matter of days. Sony already seeded the ICS updates for Xperia arc, arc S, neo, neo V and ray. 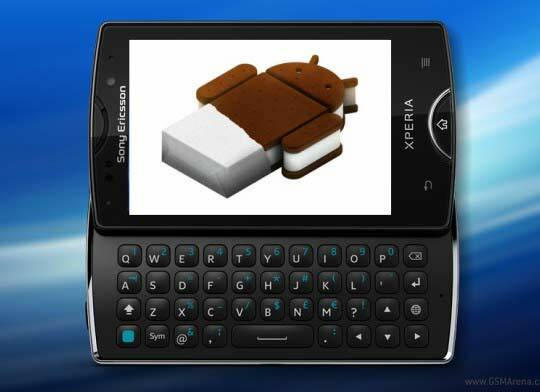 The only one 2011 Xperia to be left out on Gingerbread is PlayStation certified Xperia PLAY.